The EITC or the Earned Income Credit is “a tax credit for certain people who work and have earned income under $53,505” according to the IRS. 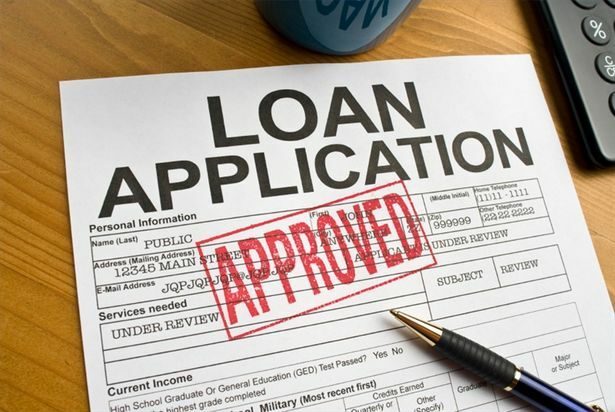 For many American’s, it is an annual opportunity to get bills caught up and have debts paid down. For others, it is a short, but welcomed break from the paycheck-to-paycheck lifestyle. But how exactly does the Earned Income Tax Credit work? Well, it depends on how many qualified dependents you are claiming and how much you make. There are some exceptions, but a qualifying child is generally a son, daughter, younger brother, younger sister, niece, nephew, or grandchild that lives with you most of the year and you are providing most of the support for. If you can not trace relation to a dependent via birth certificates, marriage licenses, state foster care paperwork, or legal adoption paperwork, it may not be legal to claim the EITC for that person. The same applies if the dependent or child lives with the other parent most of the year or if you are not the majority provider for the household. Does the Earned Income Credit go up the more I make? Sometimes. The graph below is the 2016 chart for the EITC. 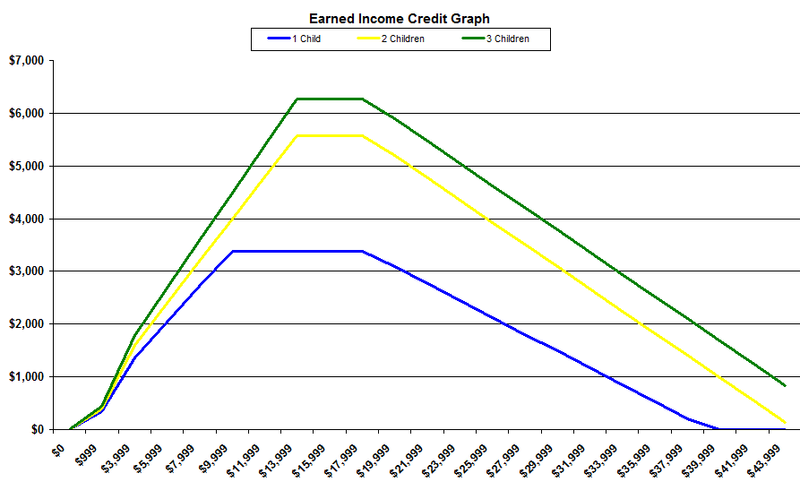 If you are claiming 2 children (the yellow line), your credit increases the more you make until you reach around $14,000 for the year. After that the credit stays the same until you make about $18,000 for the year. Then, the more you make, the less credit you qualify for until it disappears beyond the $44,000 mark. Now, this does not mean money is being taken away from you. The EIC reduction is fairly slow. So the more you make, the more money you are actually taking home at the end of the year. The government does not want to encourage you to stop working and supporting your family. However, many Americans are disappointed in their tax refund when they file their return in a year they make more money. This is due to the fact that they are not prepared for the refund drop. But if you understand the numbers, it is clearly better to make as much money as you can…while you can. Another factor people forget about is the future. The more money you make now, the more money you get when you retire in Social Security. It is not uncommon for some people to reduce their hours when they feel like they are at the top of the Earned Income Credit scale. This is a mistake. You actually LOSE money, both now and in the future. But BE CAREFUL! Although we are talking about a LOT of money, the IRS and Uncle Sam are cracking down on fraud and the incorrect claiming of children with the Earned Income Credit. According to the Washington Times, the government paid out 13.6 BILLION Dollars in false EIC claims in 2013 and over $132 billion over the 10 years prior to that. This is why the tax refund experience has changed so much in the last few years, to prevent fraud. The IRS has added a number of filters to prevent the improper claiming of the Earned Income Credit. And if the IRS catches you with your hand in the cookie jar, you will be required to pay it back. But if you get caught too many times, you can get yourself BANNED from the Earned Income Tax Credit program altogether. You are advised to always used a licensed or registered tax return preparer every year. 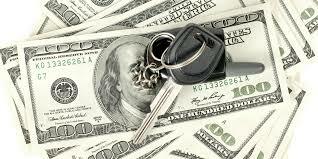 Dealerships within the Drive Now Network use one of the largest single IRS eFile Providers in the country, which specialized in customers who are looking to use part of their refund to purchase their next car. Their goal is to get you the maximum legal tax refund you are entitled to.